Private lot and street parking available. Host your private event at Little India and treat your guests to the undeniably evident sense of authenticity in the atmosphere, where Indian art and music complete the experience. Allow our attentive, friendly staff to cater to your every need as our skilled chefs exceed your culinary expectations. Little India Restaurant in Denver has been providing quality Indian food to this area of Colorado since 1998 when the Baidwan and Malhotra families came together and started the establishment. Little India Restaurant has proven to be a very popular choice with residents of the area due to the quality of the items on the menu. Options from Little India Restaurant that are popular include the coconut shrimp, momo dumplings and calamari fried in chickpea butter. 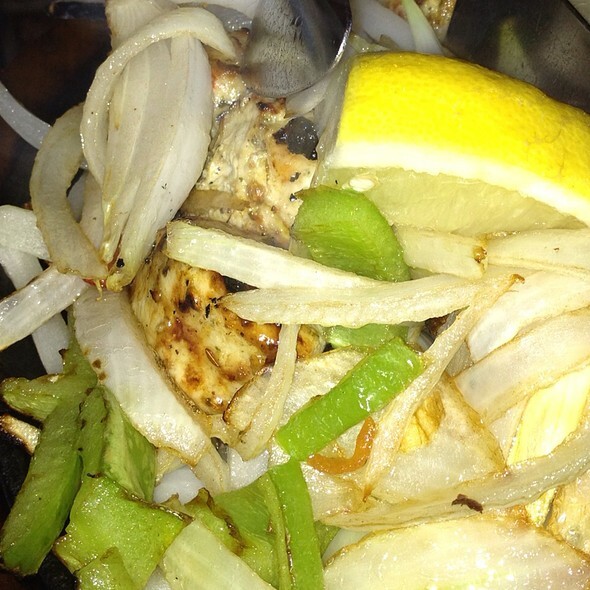 Entrées include the chicken ginger kabob, tandoori chicken, lamb chops, shrimp tandoori and fish tandoori. The restaurant has nice ambiance, and it delivers for those who want to stay home. A variety of vegetables slow cooked in a tomato based curry, made with a dash of cream and a TON of Love! Two unique characteristics of the lunch buffet were were the delicious preparation of their chili chicken and the chai which had a strong flavor of cardamon, I think. First time dining here. Wonderful food. Spicy level was perfect. Naan could have been cooked a little longer. If there was a noise problem it was due to a lively conversation at our table! But Little India is always great. A wonderful place, I love it! The lounge is perfect for dates and I plan to hold family and business meetings there so. A wonderful experience and great staff. We are big fans of Little India. We had never tried the Wash Park location but found it to be excellent. 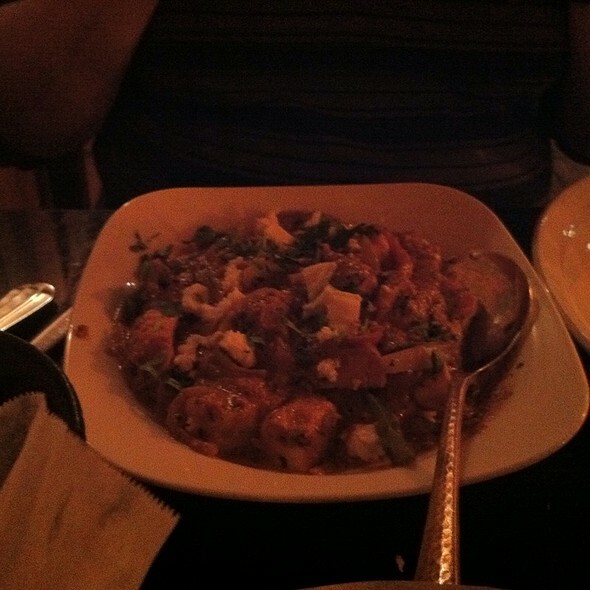 The food was fantastic and the service was friendly and attentive. The only complaint is that the Sitar playing was a bit loud and interfered with table conversation. Little India never disappoints. My husband and I (both vegetarians) started a Christmas Eve dinner tradition here a few years ago and this year we brought our neighbors, one of whom is a foodie that loves spicy food. This "foodie" remarked that her dinner was good - tasty with the right level of spicy. We don't just save Little India for Christmas; we come here often. We love the live sitar music. It adds to the whole experience. Little India is one of our favorite restaurants. The atmosphere is quaint & cozy. Their food & beverage menu is excellent. 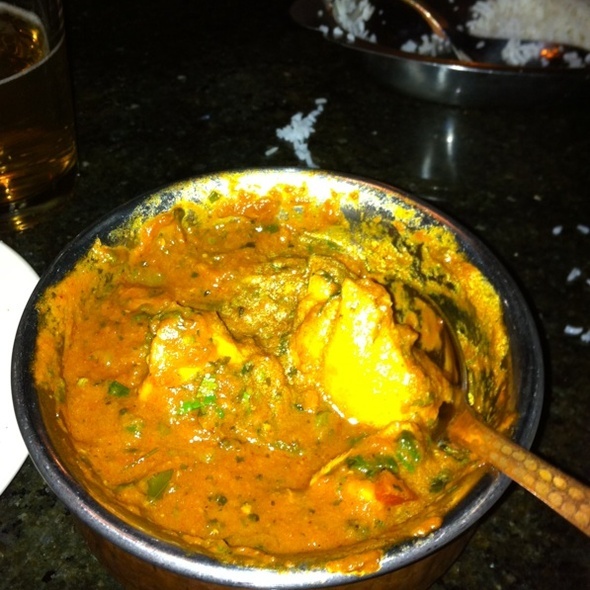 Our favorite dishes are: Lamb Masala & Chicken Vindaloo. The Staff members are always attentive & friendly. 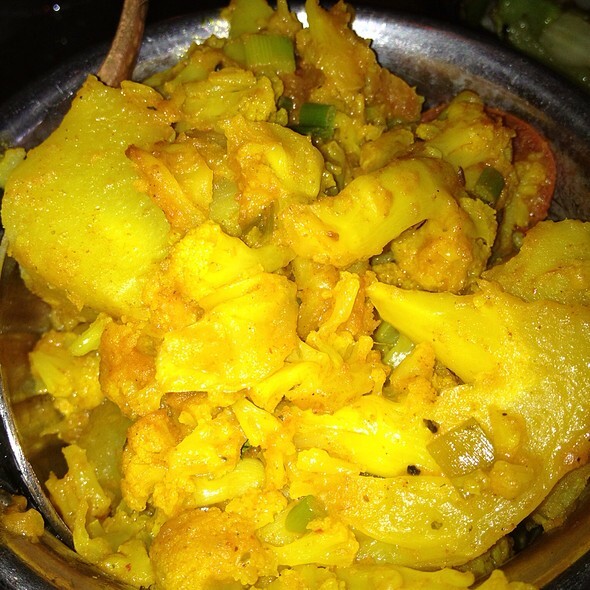 The menu lists a wide variety of dishes, from various traditions in India. Goes from mild to hot. Service is solicitous, but no one made us feel hurried in the slightest. We were there Saturday evening, and a gentleman plays sitar for hours. He's there Monday, Tuesday, Wednesday, and Saturday--go on one of those nights to have a really special atmosphere. We enjoyed Little India Restaurant. The food was delicious and exactly what we expected. The table for two people is way too small to accommodate the dishes. As the restaurant was not busy it was not necessary to seat us at a tiny table. These tables would work perfect for the lunch bar. My first visit to Little India and I will definitely return. We love the Naan, Chicken Vindaloo (super spicy) and the Protein combination Vindaloo. 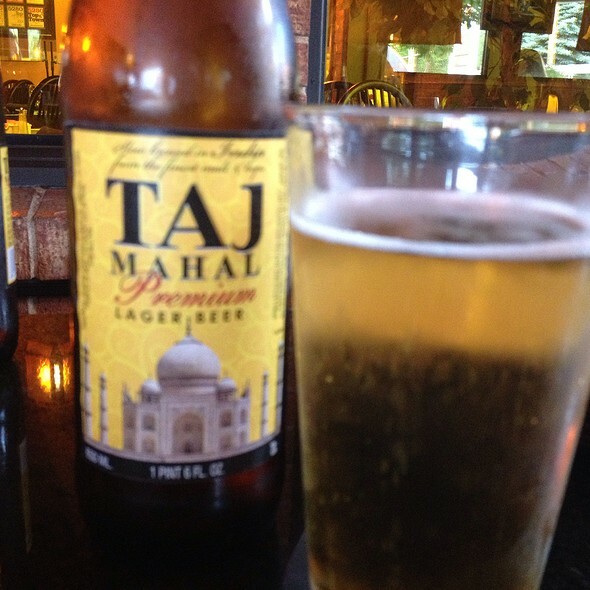 They also feature a nice wine & Indian beer list! We love Little India on Downing. We have been going here for years and always have outstanding food and service. There was a sitar player when we went and that was great entertainment. I would recommend this place to anyone. I don’t leave reviews - you must try this place, it’s awesome! Excellent lamb vindaloo & chicken tandoori. Nice ambience and staff. 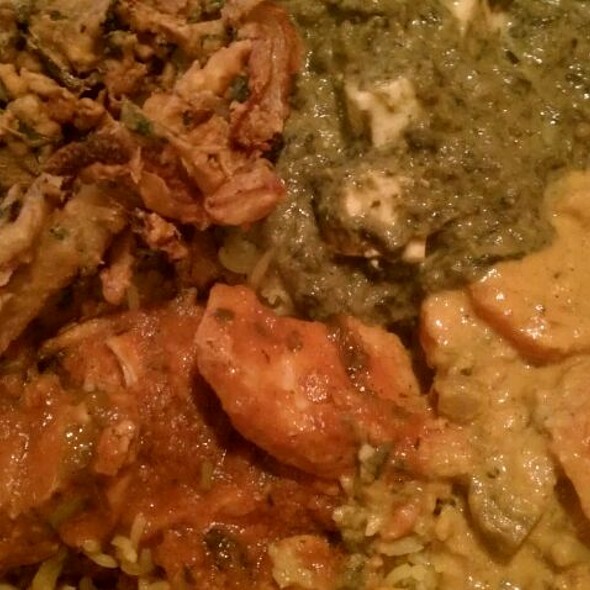 This was the worst Indian food we’ve had in Denver, maybe anywhere. Muted flavors, chicken that was rubbery and dry at the same time. Really dreary in all aspects. Raja was a TERRIFIC waiter. He made us laugh and recommended a delicious meal. Great service, food and atmosphere. We have made Little India our Christmas Eve dinner tradition - this was our fourth year. The food is always consistently delicious and the service is very good. We enjoy the live sitar music when available. Waiters are so friendly and the Indian food is outstanding, especially the specials. Super disappointing. We had reservations for dinner tonight (Thanksgiving). Made the reservations a few weeks ago on Open Table. Received text confirmation the day of and several emails up to today letting us know our reservation was good to go. We showed up tonight with our 2 small kids and the place was closed. I understand being closed on Thanksgiving. But to not turn off online reservations for a day you're not open and never checking to see if you possibly have reservations booked before a day that you're closed is truly bad business. We ended up driving around for 30 mins calling places to see if they were open with 2 grumpy kids trying to make a last min reservation. Not fun. Unusual to get two dishes served cold, saag and ticki Marsala. . Usually pretty solid. 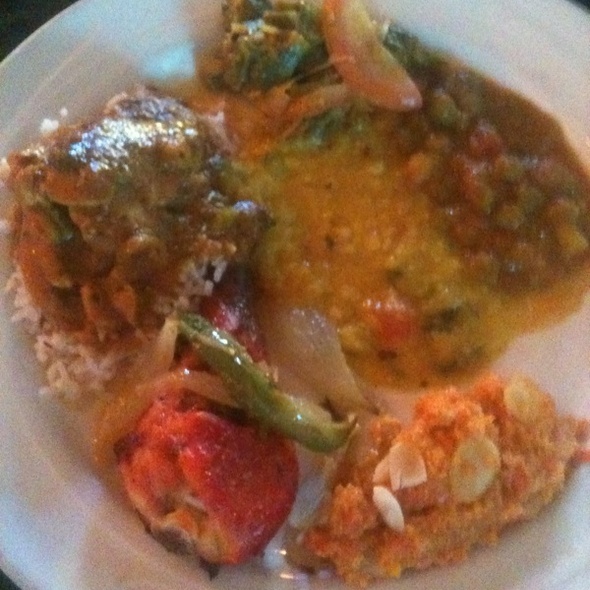 We had an excellent and authentic Indian Food experience! From the appetizer to the tandoor to the tikka masala it was savory, rich and delicious. The desserts were excellent. The live music was good and not too loud. Good food, good prices and good location. The service was average. Our waiter forgot our order and the order of the table next to us! He seemed busy but he didn't have very many tables to wait. Will go back again but not for the service but because the food is decent at decent prices and it's conveniently located. Everything was delicious, even our picky toddler found several things to eat. We will be going back again soon. Great food and service! If you are a vegetarian this is the place for you. If not still great for you! I enjoyed the restaurant and the food very much. I had the Buffett and it seemed good. Them Malbec could have been fresher My first time. We have been long time fans of the Little India near DU because the food wasn't as greasy as the one on 6th. Not sure if they now have the same owners, but the food quality has gone downhill steadily. The last 3 times we have been the food is not as flavorful, greasy, and doesn't taste as good as it once did. I'm sad to say that I think we are done with Little India's near DU and are now in search of a new favorite Indian spot. 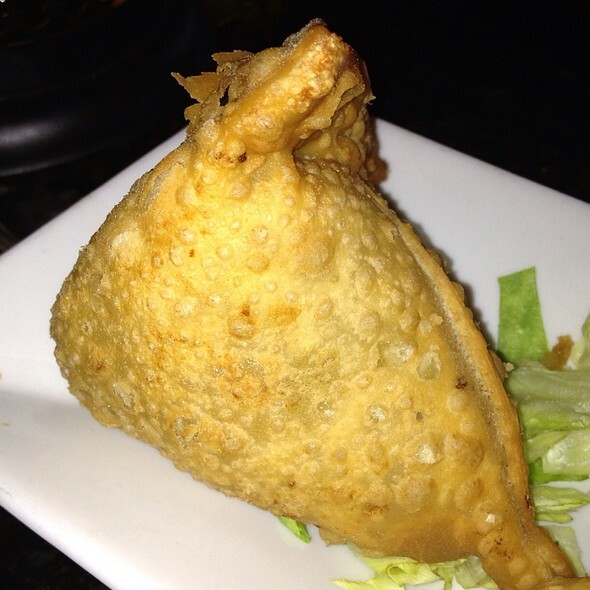 We have been to this restaurant many times and the food is usually very good and authentic. There is a kids menu - this makes it easier to take picky eaters along. Other than that, we had a nice night. The butter chicken was excellent. The Vindaloo was HOT but that is why we always order it! Had been there twice before with several years in between. First time I remember enjoying it. Second time I was disappointed. But after not being there for a long time, we thought we would give it another chance. Nice atomosphere and live music on a Friday night. Nice low key bar atomosphere. As for food. We had three entrees and each of them were extremely bland tasting regardless of whether they were spicy or not. 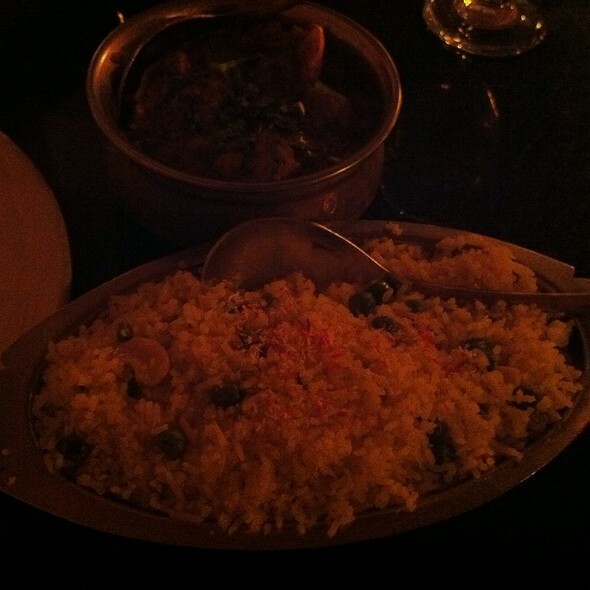 Indian food suggests to me subtle blends of spices and textures. None of that was present in any of our choices. Very disappointing! My son and I enjoyed everything at Little India Wash Park. The chicken tikka masala was, as always, fantastic. Fresh baked naan and warm, delicious chai. The service was excellent as well. Overall, a great dinner. We were first impressed by the look of building from outside. Upon entering we were greeted by the huge Indian wall painting. We were greeted cordially and seated immediately. The menu presented us with a wide variety of choices. Our order was taken very fast and we were soon drawn by the aroma of our choices, which was only surpassed by the excellent tastes. Great Chai too by the way! So disappointed. The place was filthy. The menus had dried food all over them. The floors and walls were dirty. The chairs were very old and the upholstery was stained. We got up and left before ordering because we were very concerned about filth in the kitchen. Little India on South Downing is a place to get solid, straight-up Indian dishes. The menu is extensive and the dishes are very tasty. Service was good and there are both, Indoor and Outdoor tables. If you like good Indian for the whole family, this is the right place. So far, this is our favorite Indian restaurant in Denver. Iv'e eaten here many times over the years and what always brings me back is the AMAZING richness of their Chicken Tikka Masala. One would think that this was slow cooked overnight to achieve such a rich flavor. Its has always been very consistent but judging from our latest visit, something has changed and its not for the better. I was so disappointed and it made me immediately question if the Chef still worked there or not, or perhaps did the owners sell out. It was not only the Chicken Tikka Masala that was bad; runny and flavorless, their signature drinks were bad too. Like maybe they substituted cheaper ingredients or something. I did not recognize any of the wait staff either. This is not a recipe for success. Sad….